Nestled near the foothills in the High Desert, the city of Boise, Idaho has a lively culture of arts, outdoors activities and family-friendly festivals — plenty to keep tourists happy and busy. From as stroll down Freak Alley to a step back in time at the Basque Block, here is a glimpse at some of the best Boise has to offer. 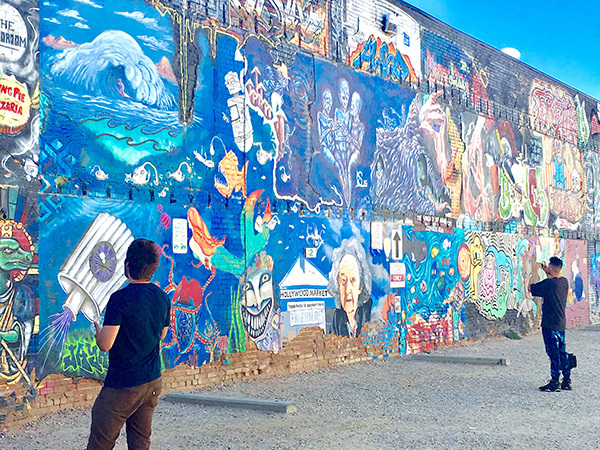 Walking down one well-known block, Freak Alley, will inspire you to take out the camera for what is recognized as the largest mural gallery in the Northwest. This alley is located between business buildings and is popular in the artist community. They can pay a fee to create their brightly painted murals on the back walls; over time, some illustrations are painted out and new ones are applied by other artists. The alley was established in 2002; an annual mural event is held every August to view the recently added artworks. The Boise River Greenbelt is consistently rated as the top attraction on TripAdvisor. Paved pathways meander along the Boise River, traversing 25 miles of lushly landscaped park foliage, that are best experienced by bike. Tourists of all ages can rent bikes from McU Sports, located at 820 W. Jefferson. Helmets, locks and repairs are included in the rental fee, which is $15 for a half day or $25 for eight hours. Boise Green Bike is another mobility option. Download the app ahead of time to find the nearest bike kiosk located throughout the downtown corridor. Along the route, you will pass through the “Ribbon of Jewels Parks,” which includes Esther Simplot Park and Julia Davis Park. The latter is where visitors can spend some time exploring the Boise Art Museum or Zoo Boise. 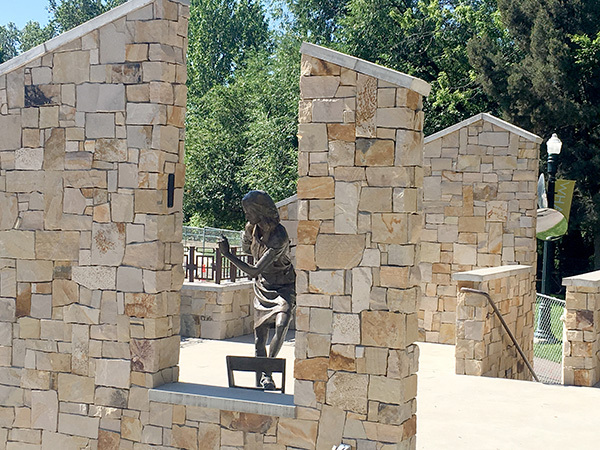 Located at an entrance to the Boise River Greenbelt, this is the only memorial dedicated to Anne Frank in the U.S. The visual display began as a traveling exhibit honoring Frank, but the community and state worked together to permanently keep it in Boise. The memorial honors the courage and strength of the human spirit, traits Anne embodied during her short life. The 180-foot quote wall is engraved with heartfelt sentiments, accompanied by a life-size bronze sculpture of the brave girl and nearby reflecting ponds. 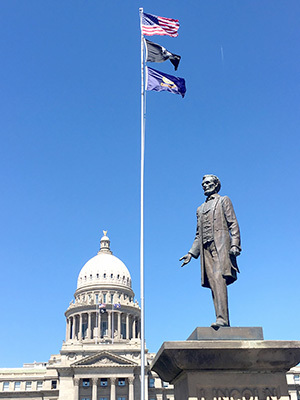 The beautiful Idaho State Capitol building is visible from many points in town. Constructed from sandstone, the building has the distinction of being the only state Capitol building heated by geothermal water, which is pumped from a source 3,000 feet under street level. Additionally, the public has free access to attend session proceedings. For a fun afternoon, head to the neighborhood in Boise’s North End, known as the Hyde Park. This historic district was a 1982 addition to the National Register of Historic Places. It is popular for its boutiques, restaurants, and eateries; an old-fashioned soda fountain and candy store are among the locally owned specialty shops. September visitors can attend the Hyde Park Street Fair, an annual event that includes live music, food and craft vendors, as well as a children’s play area. JUMP — an acronym for Jack’s Urban Meeting Place — is a place where everyone can discover their personal creativity and potential. It was inspired by Jack Simplot, a fearless entrepreneur. Events are offered in the Share Studio, a kitchen area to experiment with culinary skills, and the Move Studio, which features yoga, dance, and fitness classes. Additionally, Inspire and Play Studios both encourage artistic expression; the latter invites musicians, designers, and filmmakers to hone their talents. Boise is home to the most concentrated Basque population anywhere outside of Basque Country in Spain. In the heart of downtown is an area known to locals as the Basque Block. The block features a Basque museum, The Basque Boarding House, Basque restaurants, and The Basque Market. The Basque Museum and Cultural Center provides visitors with an interactive learning experience introducing them to Basque culture and history, both nationally and in Europe. Next door to the museum is the Cyrus Jacobs House. Built in 1864 — and restored in 2005 — it is the oldest brick house in Boise and features historical artifacts. From 1910 to 1969, it served as a boarding house, where immigrants from the old country could feel at home with Basque food and fellowship while speaking in their native Basque language of Euskara. Summer in Boise is the best time to experience the local music scene. Local and visiting bands perform a variety of music to entertain everyone at a popular outdoor concert, Alive After 5. In its 32nd year, the music and food event is held every Wednesday evening at Grove Plaza in the summer months. 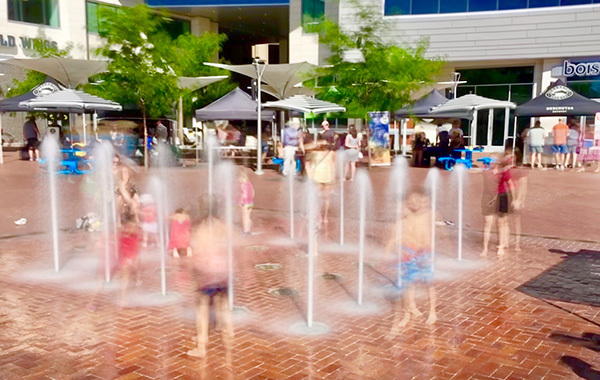 In addition to the tunes, a water fountain keeps the kids cool and entertained while the adults contemplate the delicious fare. Visitors will gain a renewed love of nature from a trip to the Idaho Botanical Gardens. Fifteen acres of flora and fauna with themed gardens — such as the English Garden, a Winter Garden of Glow (on display from Thanksgiving to New Year’s Day), and a meditation garden with native and exotic plants — will inspire green thumbs to grow their own gardens. To further one’s botanical knowledge, educational programs are also available. On Thursday evenings, music is performed on the grounds, which once belonged to the now defunct Idaho Penitentiary, where the inmates previously tended a dairy farm, crops, and fruit trees. Nothing is more exciting than when one comes across a new adventure, food, or people, and all of these can be found in the hidden gem that is Boise. —Nancy Stern is a travel writer with her husband Ron Stern. This was a sponsored trip; however, all opinions herein are the author’s.